Michigan tax lawyer, Venar R. Ayar, founder of Ayar Law, holds ten years of experience as an accounting specialist and tax lawyer. He earned his Juris Doctor at the University of San Diego School of Law, receiving a Master of Laws in Taxation, the highest degree available in tax. 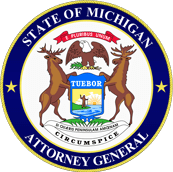 His main focus has become Michigan tax resolution as well as IRS tax resolution, including individual and business tax matters; tax planning, tax compliance and white-collar criminal defense. His business background has helped him to become personable and understanding in his work. Representing clients before the IRS, Ayar’s practice and experience has proved him as an honest and dedicated leader in the realm of Michigan tax lawyers. At Ayar Law, we solve tax problems. That’s all we do. Honing in on such a precise area of the law has allowed me to sharpen my skills as an attorney and really educate myself and my staff on everything related to tax problems. A large portion of our business deals with clients who have undisclosed foreign financial dealings. Through dealing with these clients and the different issues presented, we have become experts in the various reporting requirements for such individuals. My passion for tax law, and more specifically this particular area of tax law, only grows with each passing day, which makes me an even better attorney for my clients and also a very useful resource for my colleagues. This is where you come in. Most of our clients who come to us to help with their undisclosed foreign financial assets need to amend at least three years of income tax returns. We always prefer working with their accountant, should they have one. Generally speaking, no one is better suited to amend a return than the accountant who filed the original 1040. We believe that as a team our joined abilities and efforts make us a powerful force to be reckoned with. Although I am sure you are aware that anyone with foreign financial assets or dealings must report them to the Internal Revenue Service, you may not be too well-versed on the details. I have taken the liberty of putting together a brief summary of some of the most common foreign reporting forms, and what they are used for. Also attached, you will find a brief description for each of the various amnesty programs available to those who find themselves behind on their foreign financial disclosure requirements. I hope the attached “cheat sheets” prove to be useful guides for the most commonly required foreign financial forms and programs should a case regarding foreign financial assets ever come across your desk. Should you ever encounter any clients with foreign financial dealings, and have any questions, I want you to know that you are always free to call our office. We are always happy to help our fellow tax professionals. accounts, foreign securities, and interests in foreign entities. of these must be reported on this form. must have all required attachments to be considered complete. the tax return is required to be filed. shareholders in certain foreign corporations. requirements of sections 6038 and 6046 and related regulations. of a reporting corporation with a foreign or domestic related party. (including extensions) of the return. As I am sure you can see, this is a very convoluted area of the law and I have barely scratched the surface! If you do happen to find yourself representing a client with foreign assets or dealings that has never filed a single one of these forms and is years behind, fret not. There are options available to your client besides a plea bargain and an orange jumpsuit. For starters, there is the Offshore Voluntary Disclosure Program or OVDP for short. This program is for those taxpayers with foreign assets who have willfully failed to report those assets. With the OVDP, the taxpayer must go back and file 8 amended tax returns as well as 8 years of FBARs. The penalty is 27.5% of the maximum balance of the past 8 years and the taxpayer must also pay all tax owed plus interest and a 20% penalty on the tax due. Though these penalties are steep, the upside is that in return, by coming forward the taxpayer is thusly absolved of their tax crime(s) (willful neglect) and the IRS thereby promises that they will not initiate a criminal proceeding against them. The taxpayer also gets a “closing agreement,” from the Internal Revenue Service which is essentially a contract between the taxpayer and the IRS saying that the matter is closed. There is also the Streamlined Foreign Offshore Procedure or simply, SFOP. The SFOP program is a bit different than the OVDP program in that it is designed for those taxpayers who neglected to report foreign assets non-willfully. In other words, the taxpayer simply didn’t know any better. The taxpayer must provide a statement of facts to that effect as well. Also, with the Streamlined Programs, the taxpayer only needs to go back 3 years (as opposed to 8), filing amended tax returns for those years. He or she must also file 6 years of FBARs. In addition, the taxpayer must meet the non-residency test for at least 1 of the 3 years being amended. Finally, the taxpayer will need to settle any previous payments and/or interest payments relating to other delinquent or amended filings. In exchange, with the SFOP, the taxpayer will not have to pay any penalties and the IRS will not assess any additional non-willful FBAR penalties under any circumstances. That brings us to the Streamlined Domestic Offshore Procedure, or SDOP. The SDOP program is very similar to the SFOP program but for a few key aspects. For starters, while the SFOP is a program designed for U.S. citizens who live in a foreign country and have foreign dealings/accounts, the SDOP is a program for those citizens who live stateside but have foreign dealings/accounts. The conditions are the same as with the SFOP though the penalties differ. For the SFOP, the penalty is 0% of the foreign asset value while the SDOP’s is 5% (of maximum year-end balance of all foreign financial accounts). Additionally, there are delinquent FBAR submission procedures. These programs are designated for those who properly reported all of their income and paid all of their taxes on time, yet neglected to file their FBARs. The taxpayer in question had to have also reported any interest accrued on any accounts in order to qualify for these procedures. As you can see and by no stretch of the imagination, there is quite a bit that goes into preparing all of the legal work for any one of these procedures for the clients in addition to filing all of the required missing forms. Here is where we can work together. As a tax professional, you know your way around these forms and can do any of the filing while I and my staff can do the legal work and writing required. Between the two of us we can really help our clients finally wake up from the living nightmares that we know as foreign tax issues.